It should be pretty obvious to anyone paying attention that something is terribly wrong in Ramseur, and it only seems to get worse with each passing year. I have a few theories about how and why things got this way, but for now I’d rather focus on what’s wrong and how we go about fixing it. Property owners in Ramseur pay the highest taxes of any municipality in Randolph County, yet our town has some of the worst infrastructure in the county and, according to some, we can’t afford to hire a town administrator to manage our affairs. There are few checks and balances in place to keep the members of our Board of Commissioners transparent and accountable to the people who elect them. For example, each member of the Ramseur Board of Commissioners can spend up to $1,000.00 per invoice every month, with no limit on the number of invoices they generate. The only person with any oversight is our Town Clerk, who acts as the town’s chief financial officer and is employed at the pleasure of the Board. 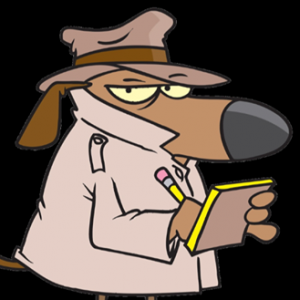 If I’m a town commissioner I can hire anyone I want to perform any work I deem necessary in my department(s). No one but me gets to vet the people I hire, check their credentials, inspect their work, or provide any other oversight to ensure I’m not abusing the privileges of my office. Pretty much anything goes so long as I don’t burn through my budget too fast. I wish I could say there’s no evidence of that kind of behavior in our town, but I can’t. 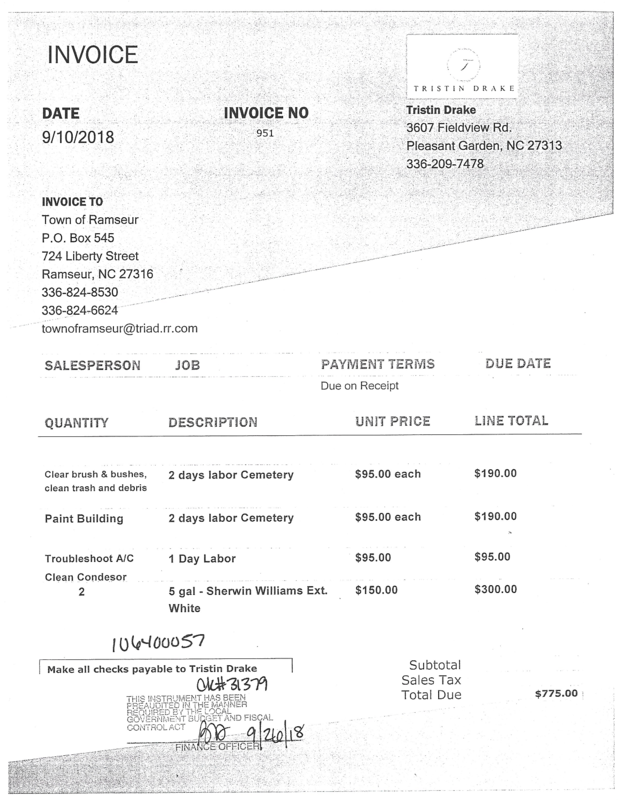 Last month I requested copies of all invoices generated for maintenance and repairs, excluding lawn care and utilities, at Sunset Knoll Cemetery. Expenses for the first six months of the year were unremarkable; purchases made at Cox Home Center for items like wheat straw, insecticide, and stakes for marking graves to be opened for funerals. Beginning in August there was a flurry of activity lasting a couple of months. Commissioner “Adam” Smith – appointed to the Board on August 6, 2018, by Commissioners Randy Cox and Grant Cheek, and Mayor Danny Shaw – jumped right in and started getting things done. 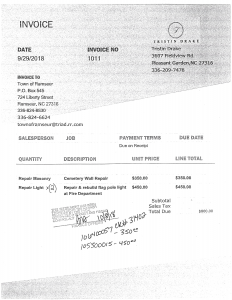 On August 8, 2018, Smith spent about $325 on electrical parts and four light fixtures at Lowes in Asheboro. 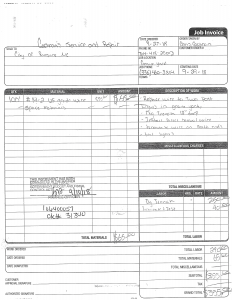 On August 14th Smith hired a person named Chris Cochran, apparently from Kings Mountain, North Carolina, who spent another $266 and change at Lowes purchasing more electrical materials and tools, including a hole saw kit and a fancy multi-tip screwdriver – tools any professional electrician should own. These receipts were paid or reimbursed on August 24, 2018. The items were eventually used to install decorative lights at the entrances to Sunset Knoll. 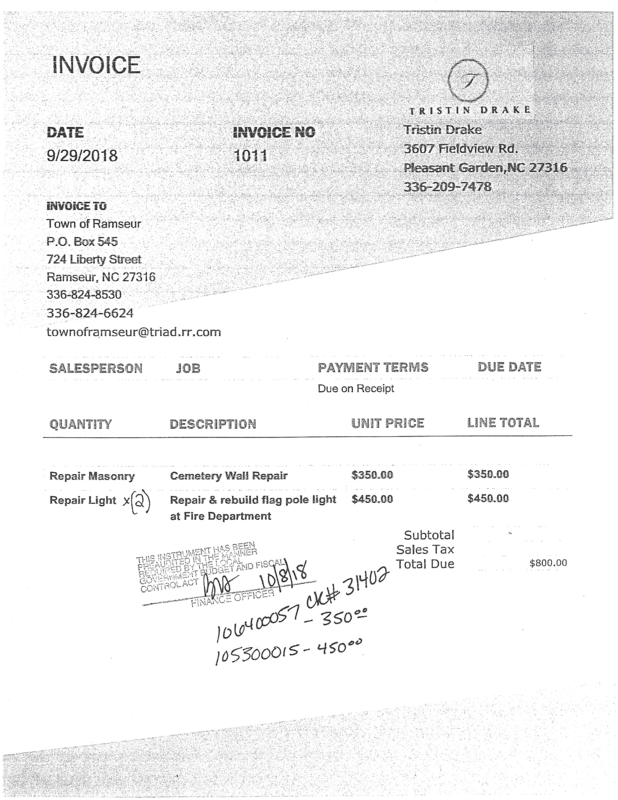 According to an undated invoice Cochran’s Service and Repair was paid $860 , on August 15, 2018, for electrical repairs and upgrades at the cemetery. 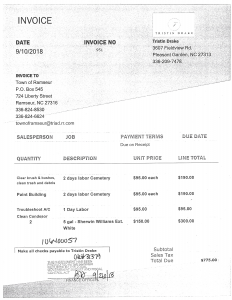 On August 24th Mr. Cochran was paid another $700 for sixteen hours of pressure washing services he provided at Sunset Knoll; washing four brick columns, 200’ of sidewalk and the monument near the flagpole, again on an undated invoice. 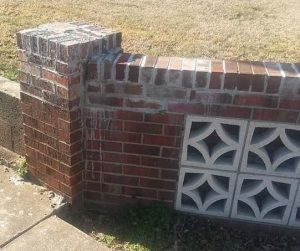 It’s my understanding that pressure washing services were also provided around that time at the Ramseur branch library, but I have not yet requested or seen an invoice for that work. I searched the internet using various terms and criteria in an effort to find a business called Cochran’s Service and Repair, but I was never able to find one matching that name or the telephone number listed on the invoices. I did find a match to Chris Cochran’s name and telephone number on a list of rabies vaccinations from 2010 in Cleveland County, North Carolina, west of Charlotte. Kings Mountain, Commissioner Smith’s hometown, is in Cleveland County. On September 10, 2018, Mr. Cochran was paid another $355 for even more electrical work; this time installing decorative lights at the West Ridge Street entrance to Sunset Knoll. 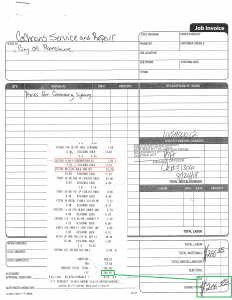 That invoice is interesting because it states that the work was ordered on September 27th and performed on September, 29, 2018. 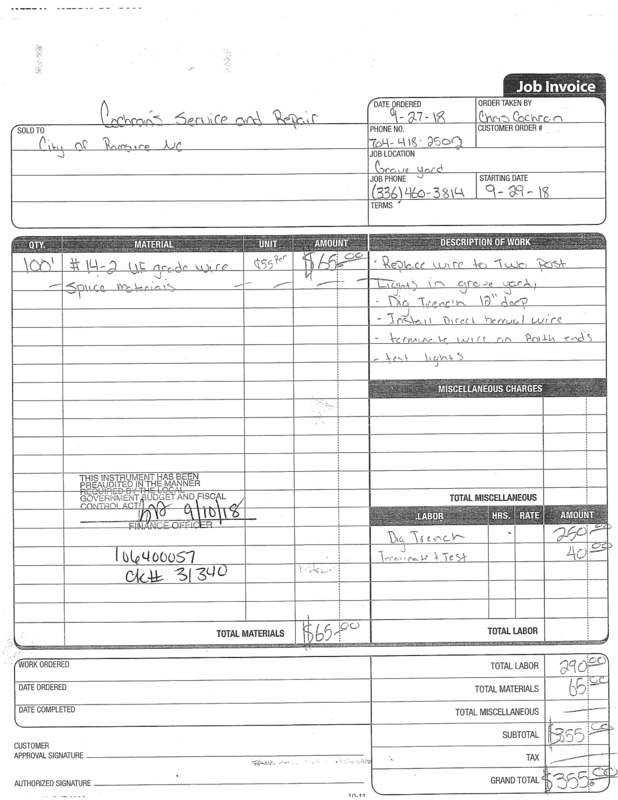 Perhaps the Clerk’s note that it was paid on September 10th is simply a recording error. 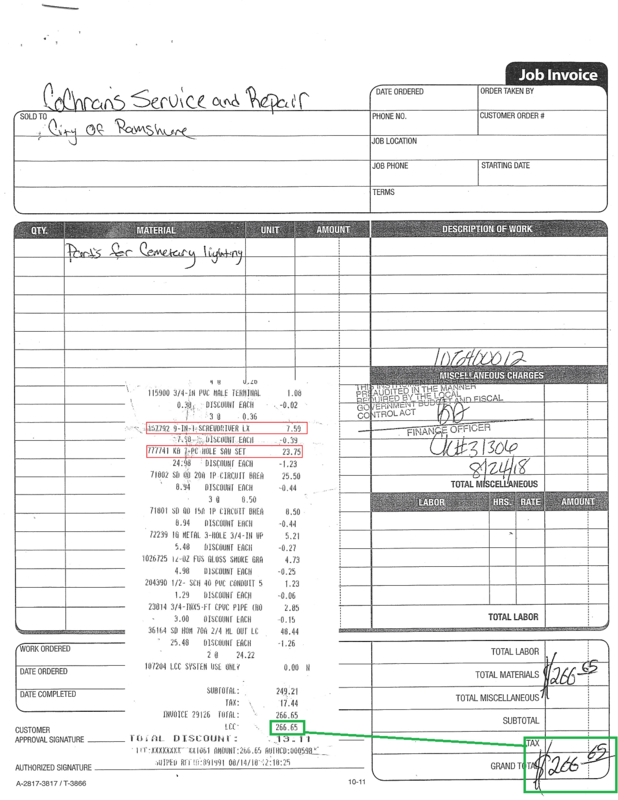 Either way Mr. Cochran was installing light fixtures that appear to have been part of Smith’s initial purchase at Lowes on August 8th, so why wasn’t this work requested the first time Cochran was hired by Smith back in mid August? 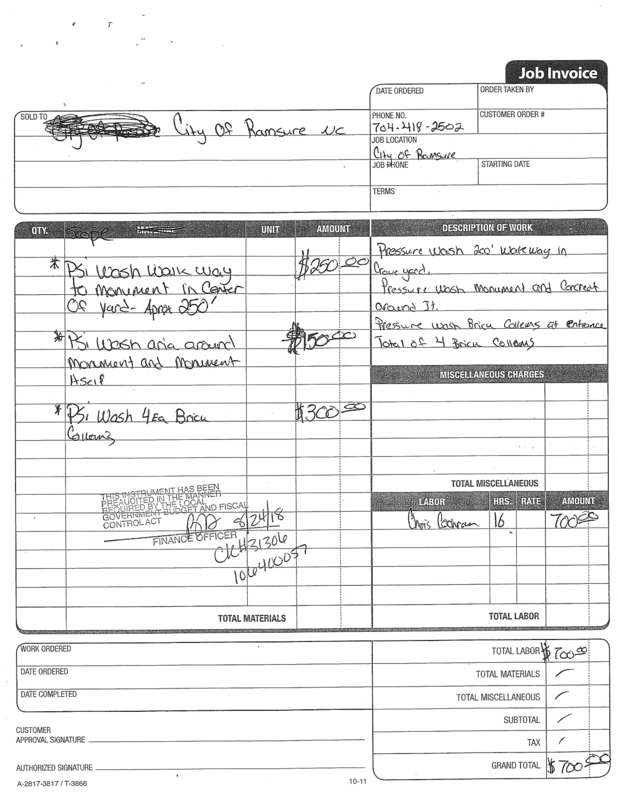 Two other interesting invoices for work done at the Sunset Knoll were submitted by Commissioner Smith in 2018. These were generated by a young man named Tristan Drake of Pleasant Garden, North Carolina. The first invoice, dated September 10th, totalled $775 for five days labor and ten gallons of paint (two days clearing brush, two days painting, and one day cleaning an air conditioner condenser). This invoice was evidently paid out of miscellaneous funds for the cemetery, but I am unaware of any air conditioners on the property. 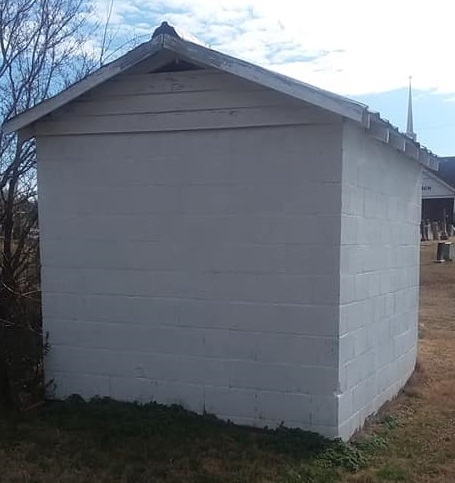 I walk in Sunset Knoll Cemetery almost every day, and there’s only one structure on that property that’s been painted in recent months: a small cinder block shed I’m told once housed mowing equipment. I remember when it was painted last fall; it got a thin coat of paint on three sides, none on the unpainted wood doors, and the gable ends – the only parts of the structure that were previously painted – were repainted to about six inches from the peak. Mr. Drake apparently forgot to bring a ladder to the job. Does this look like two days work and ten gallons of paint to you? When my house was painted about two years ago it only required six or seven gallons of paint to cover the entire exterior and the detached garage with two coats. Mr. Drake billed the citizens of Ramseur for ten gallons of paint and two days of labor for a job he didn’t complete. Any honest, experienced house painter will tell you that paint is primarily a preservative, and once you paint a structure you have to repaint it every few years. The cinder block walls on that building required no preservation and looked fine in their natural state. Only the gable ends and perhaps the doors really needed to be painted. Now we’ll have to keep repainting the whole thing every few years or pay someone to come and sandblast it clean. A second invoice paid to Mr. Drake is dated September 29, 2018. This bill totalled $800: $350 for rebuilding a damaged section of brick wall at the West Ridge Street entrance to Sunset Knoll, and another $450, paid out of fire department funds, for repairs to a light fixture in front of the fire station. The photo of Mr. Drake’s masonry work above speaks for itself. I find it hard to believe that anyone in any way connected to the real estate industry would find this work acceptable, but the bill was paid. Commissioner Smith must have approved. The invoice numbers (951 and 1011) on Mr. Drake’s bills lead one to believe that in the eighteen days between these jobs, he completed and billed sixty projects for other clients. Any handyman able to stay that busy ought to be pretty easy to find, right? As with Mr. Cochran, I tried to find a online business presence for Mr. Drake, and just like Mr. Cochran, I have been unable to find evidence of any business connected to this young man. West Ridge Street entrance to Sunset Knoll. Go by and see it for yourself. I’ve operated a service business of my own for nearly ten years. I want potential customers to find me, so like most business owners I have taken great pains to make myself very visible, especially on the Internet. If these folks are self-employed I don’t believe they’ll be that way for long without a much better online marketing plan – another field in which Mr. Smith claims to be a highly successful expert. When our town needs work like this performed shouldn’t preference be given to local businesses whenever possible? I’m sure there are brick masons, electricians, landscapers, and even pressure washers living in or near Ramseur who could have provided the above services at more competitive prices and I suspect the work would be of higher quality as well. Shouldn’t there also be some oversight, even if nothing more than a second commissioner signing off, before hundreds or thousands of our tax dollars are spent paying for work that may or may not be needed? The practice of allowing individual commissioners to spend tax money with almost zero accountability must end now. We, the taxpaying citizens of this community must demand the Board of Commissioners modify their spending rules. There must be reasonable limits placed on miscellaneous spending by Commissioners at the earliest possible date. A list of pre-qualified vendors should be compiled and supplied to all Commissioners and the public, upon request, and a minimum of three bids should be solicited for all projects requiring outside vendors, contractors or purchasing, regardless of lower standards set by the state. We could also improve accountability by consolidating Town departments and assigning at least two Commissioners to each; requiring both to sign off on any miscellaneous spending before it is initiated. Personally, I think the library and our museum should be consolidated into one department. Cemetery management should be rolled into streets and public works. Water, sewer and sanitation are a natural fit, while public safety (police, fire, and EMS) should be another department. Ramseur Lake should be overseen by whichever Commissioners are charged with supervising parks & recreation and water/sewer because that resource serves as both our water supply and a recreational park. Commissioner Caudle, who currently oversees parks and recreation, proposed something similar to these ideas when she joined the Board in December of 2017, but most of the other Commissioners and the Mayor would not even entertain the idea. If you agree with some or all of these thoughts, or if you have other ideas of your own, please contact your Commissioners and Mayor Shaw at your earliest convenience and let them know what you think. If they are unwilling to implement or discuss these changes in an open meeting keep calling them. They work for us and they should never be allowed to forget that they can be replaced. Next PostNext Know Your Rights!